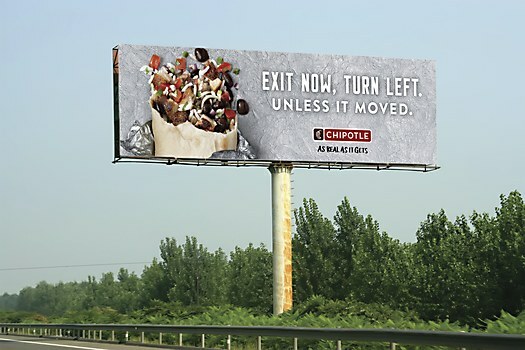 These OOH ads from Venables Bell & Partners celebrate candor and irreverent truths. Food claims have become so ubiquitous that they are now nearly bankrupt in the food industry. 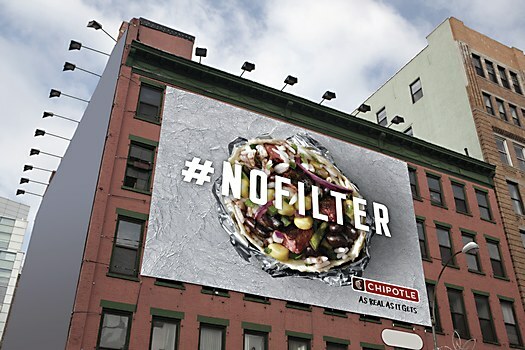 But Chipotle has always been about creating food for the benefit of animals, farmers, customers and the environment, making its food with no additives and zero preservatives—just quality ingredients you can find at the grocery store. Actual, bona fide real food. 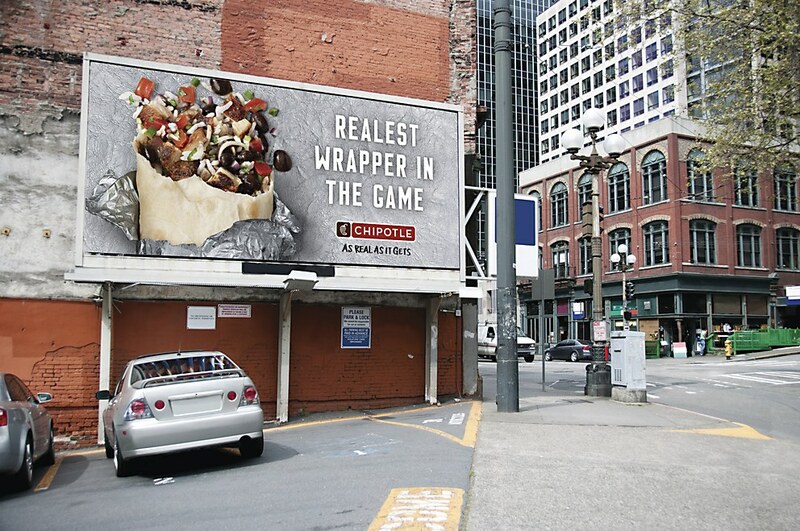 To help Chipotle stand for being real—and not just when it comes to food, but also when it comes to culture—Venables Bell & Partners created an integrated campaign to separate Chipotle from all the rest and help return the brand to its rightful place in the restaurant category. 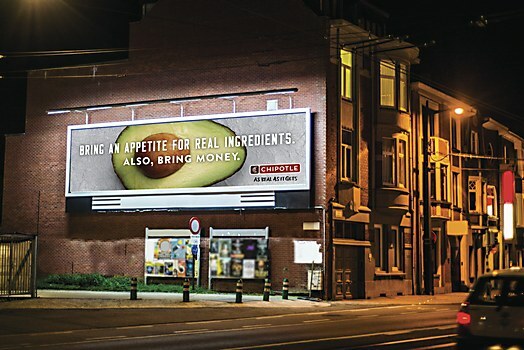 As Real as It Gets celebrates candor and irreverent truths, employing the brand’s cheeky, self-aware, self-deprecating voice across OOH, TV, radio and digital to implicitly communicate transparency and honesty. 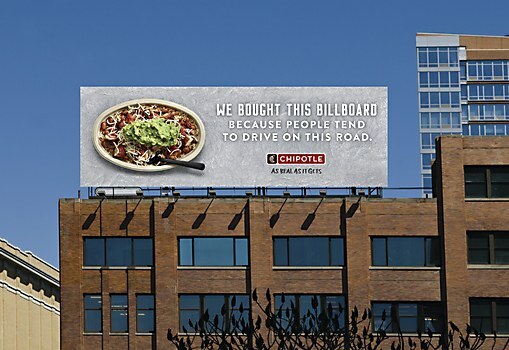 The San Francisco–based ad agency knew that Chipotle’s straight-talking, no-nonsense voice would be more than welcomed in a world spinning with fake news and half truths and, in the process, remind consumers why they love Chipotle. DDB Canada and Gentleman Scholar tell the charming story of a cheese maker and his daughter. 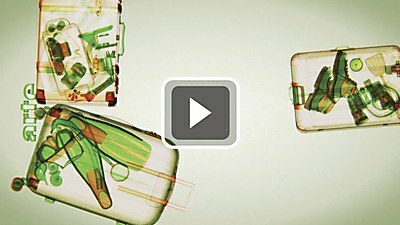 The Partners and Lambie-Nairn create magnetic animations that unify a European TV network’s diverse content. 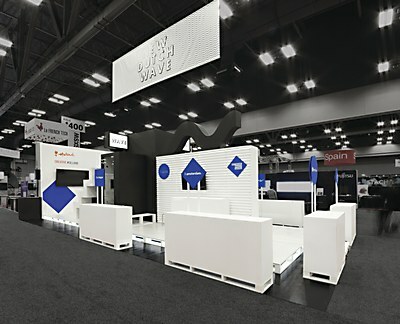 This tradeshow booth from design firm FormNation visually unites eight innovative Dutch brands.